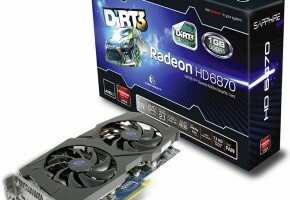 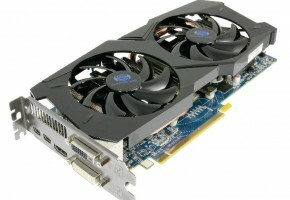 Just about a week has passed since PowerColor offered a glimpse at its newest Radeon HD 6870 card and today the add-in board maker has launched said card, naming it the PowerColor HD6870 2GB GDDR5 Eyefinity 6 Edition. 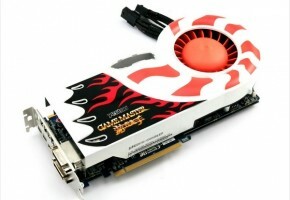 As you might have guessed, it’s intended for use with multi-monitor setups. 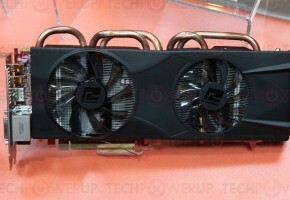 Seen below, PowerColor’s Barts-powered offering has a custom, dual-slot cooler, 1120 Stream Processors, a GPU clock of 900 MHz, a 256-bit memory interface, 2GB of GDDR5 memory (double the amount found on ‘regular’ HD 6870s) set to 4200 MHz, and six mini DisplayPort outputs allowing to connect it to six monitors. 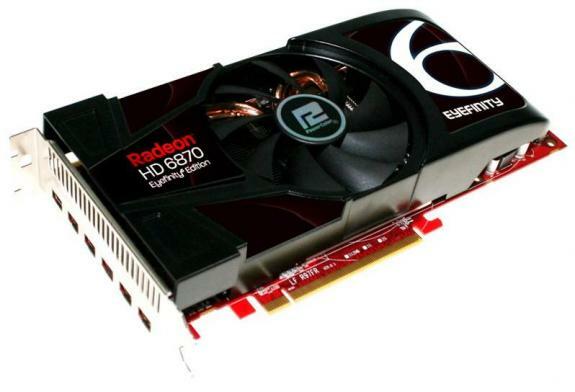 The PowerColor HD6870 2GB GDDR5 Eyefinity 6 Edition also has CrossFireX support and requires extra power via two 6-pin PCIe connectors. 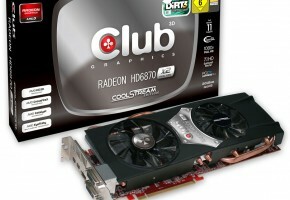 The card’s price tag and release date have not been announced.